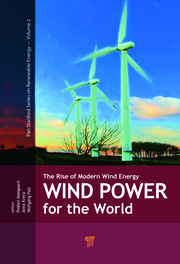 This is a book on how the U.S. and other governments have changed their thinking about energy issues over the past four decades, a change triggered by increasing concern about the role of fossil fuels in global warming and climate change, greater awareness of the risks of nuclear power, and the emergence of viable renewable energy sources. It will help understanding of how this change came about in the United States from the unique perspective of a well-placed participant and observer. It will enhance understanding of the global energy transition that is finally getting underway in the second decade of the 21st century at an accelerating, even dizzying, pace. 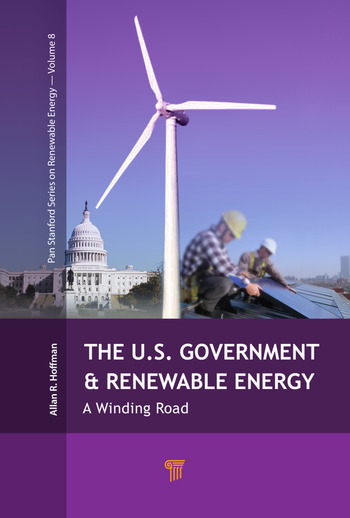 The book’s main purpose is to illustrate how the U.S. government moved along its winding path to where it is today in getting ready for a renewable energy future. Target audiences are the young people who will inherit the transition and shape its future, those in government who currently shape our public policies, and those colleagues, friends, and family members who lived through many of the times and events discussed in the book. Allan R. Hoffman holds a Bachelor of Engineering Physics degree from Cornell University and a PhD in physics from Brown University. Trained as an experimental physicist, he has devoted most of his career to the planning and management of clean energy technology programs in Washington, DC. He has served as a staff scientist for the U.S. Senate Committee on Commerce, Science, and Transportation and in senior positions at the National Academy of Sciences and the U.S. Department of Energy. Dr. Hoffman is a fellow of the American Physical Society and the American Association for the Advancement of Science. "Hoffman played a substantial role in the development of a wide variety of renewable energy technologies over the past 40 years, while employed at the U.S. Senate, the National Academy of Sciences, and the DOE. Much can be learned by examining the failures as well as the successes. 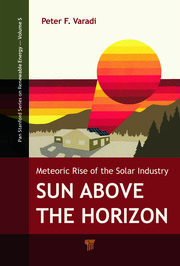 Hoffman tells us what needs to be done for a gentle landing on sustainable technologies with a smart grid. This is an important and necessary path for the nation and the planet." "I always had great admiration for those in government who were able to establish programs for the advancement of renewable energy (RE). This is especially true for people in the U.S. government (USG), which was highly influenced by the fossil fuel and nuclear energy industries. Allan R. Hoffman was one of these USG officials who led this effort for many years. He now presents us with this interesting and informative book that describes how RE programs were first formulated and then traveled through a winding road in the USG." "Dr. Allan Hoffman presents a unique personal record of the U.S. energy policy development during four decades. He is one of the top driving forces in this progress and conveys a fascinating description of the successes and disappointments from the inside of the federal government. 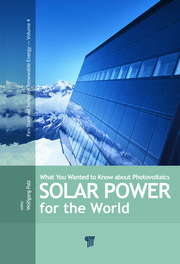 Earlier than most people, he recognized the potential of renewable energy. He has also been a pioneer in comprehending the water–energy linkage. For anybody who wishes to understand how technology relates to politics, this book is a must-read."